Things that help you find self and place. I should not be all that surprised that I have managed to amass a small collection of compasses. I mean, I do teach Geography at the High School level. With that said, I am still surprised at how many I do currently have. What follows is a small photo essay and general thoughts on the mostly various compasses I do have along with my only GPS. 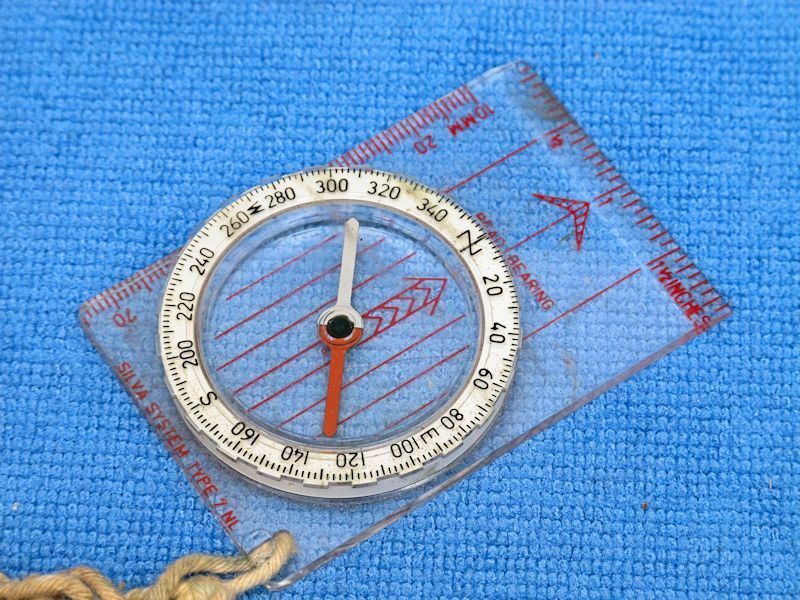 Before we start, here are a few links to the history of the compass, along with other interesting things about compasses. Silva Compass type 328 fisheye with brass pin. 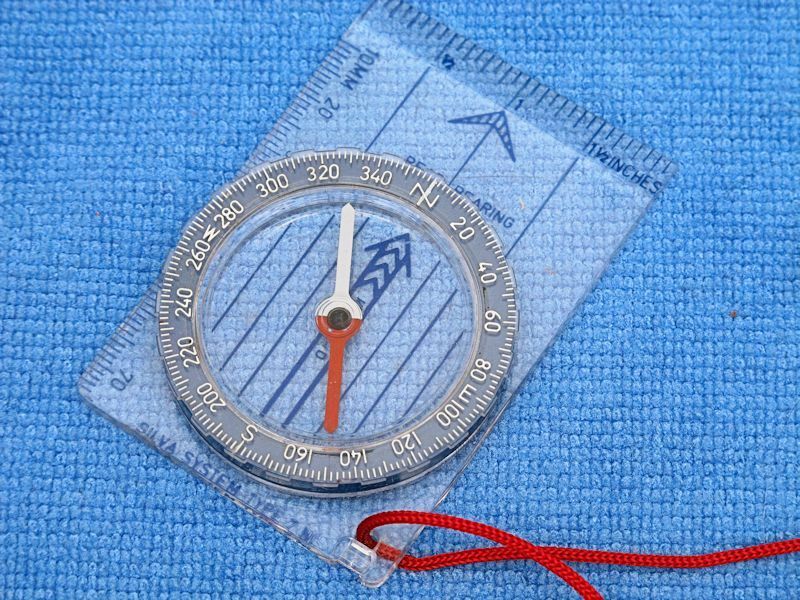 This simple but effective compass is designed to pin onto your clothing. It is small and unobtrusive, and is designed to find direction. 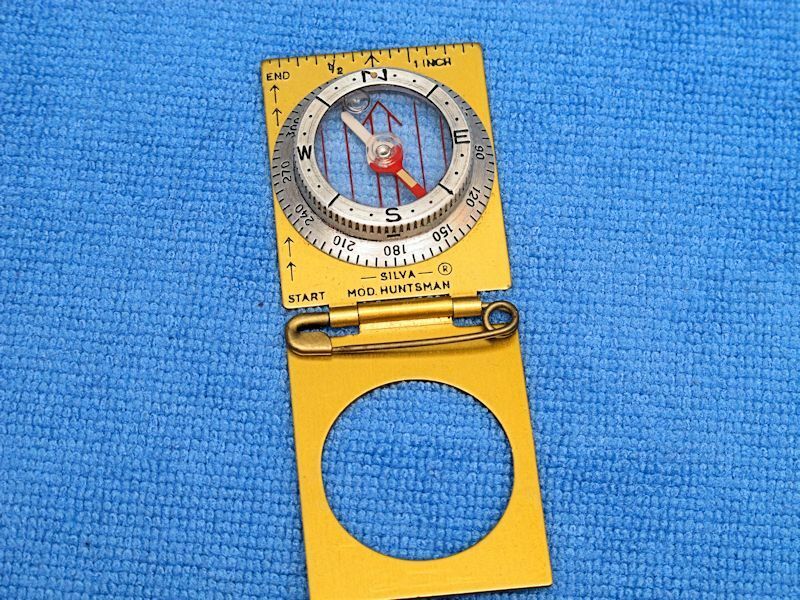 What this little neat compass will not do very well is map work because it is not designed for such. By its design, it is fluid filled and moves very very well inside its globular housing. 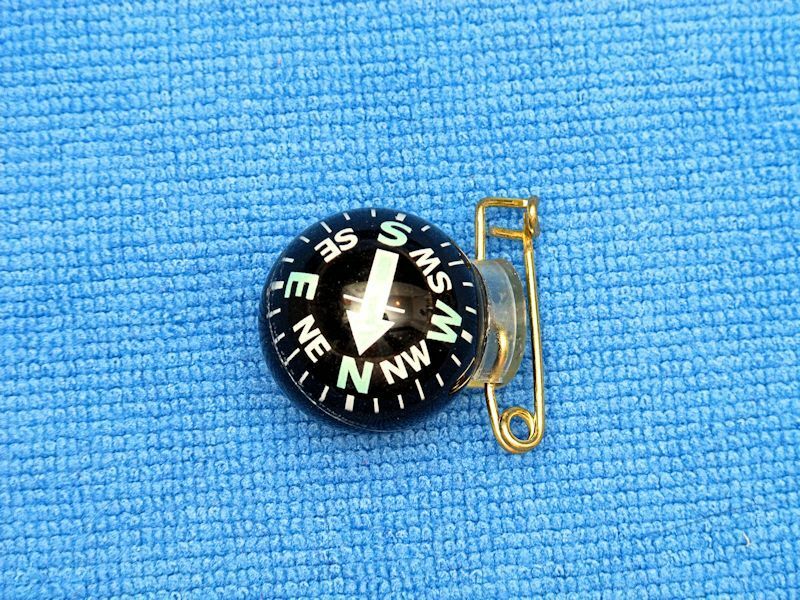 The brass pin is non-magnetic and will not alter the compass. 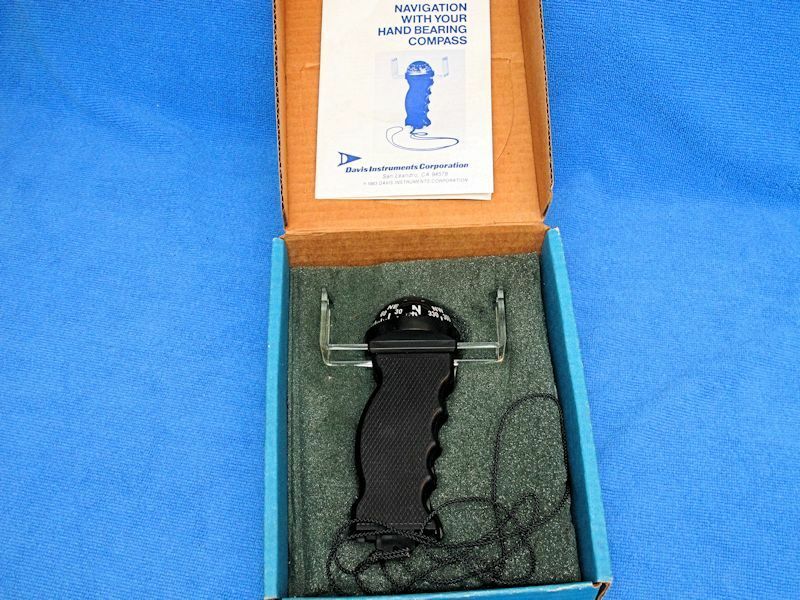 This is a very nice little compass that you attach to your clothing. 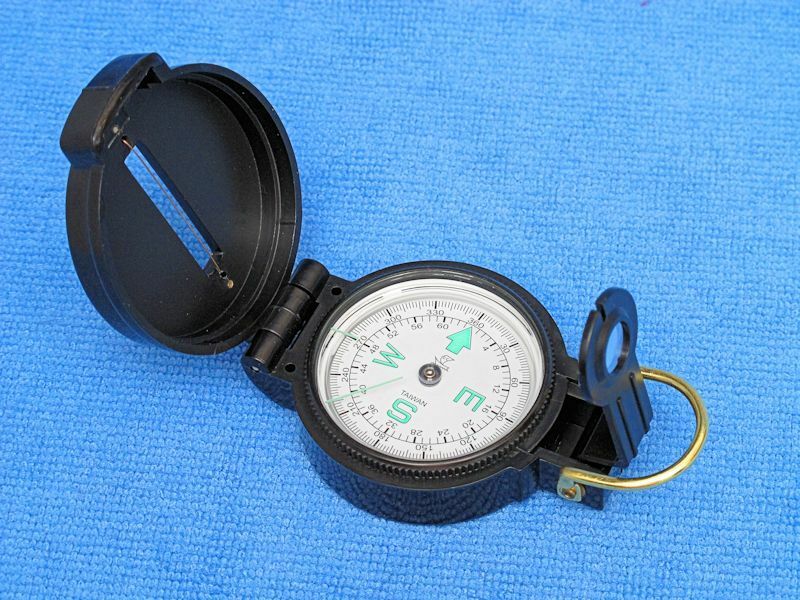 It makes a great little backup compass...and is far superior to any small button type compass out there. Best part, due to its weighed construction, the compass is always face up no matter how hard you try to flip it inside its casing. Silva System Type 7 NL. 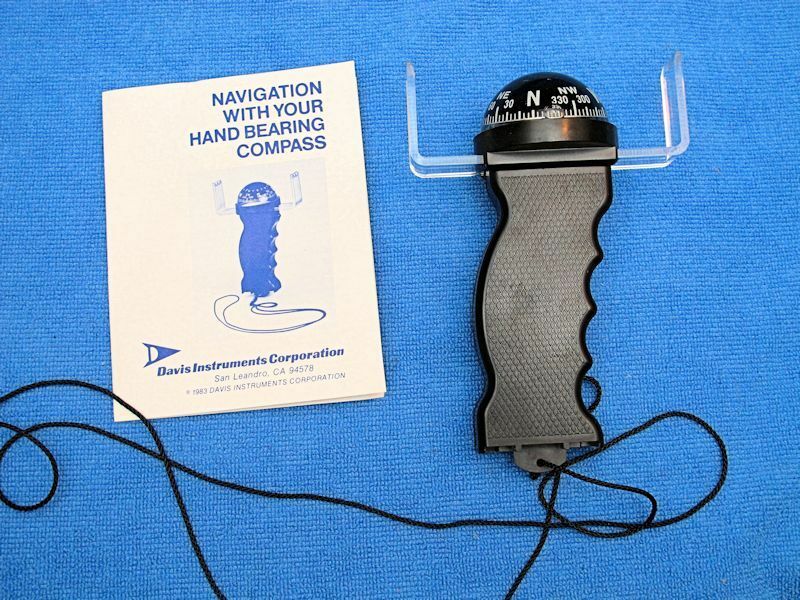 I own a pair of these simple basic compasses. In fact, these are the compasses that the school used back in the day. They are very good at teaching students the basics of orienteering with a map. As such, I really like these which is why I have two. Of the two, I find the red to be more visible. It is a bit unfortunate that Silva no longer makes this model, although they have a few models that are similar in their current lineup. These are fluid dampened. It amazes me what you can buy at the dollar stores these days. I was not expecting much, and in some regards, my expectations were met. However, in others, they exceeded them as well. Some pluses include a magnifying lens on the base, and glow in the dark markings that need light to activate them. Once primed, they glow for quite some time. With that said, the let down was how stiff the compass was to rotate. Maybe this will improve with use (I doubt it). It does not rotate like a Silva, that is for sure. I still also like the large arrow found on the Type 7 NL above. It just makes map work that much easier. For 2 bucks, you can't go far wrong with this compass for the money as I still feel it is far superior to any of those button style compasses. Surprisingly, this cheap compass also features fluid dampening. 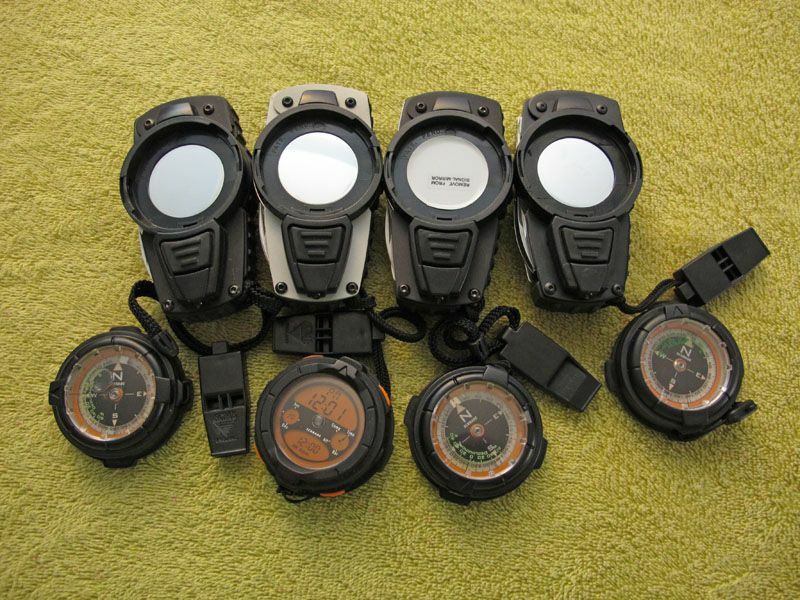 Suunto MCB SH Mirror Compass. 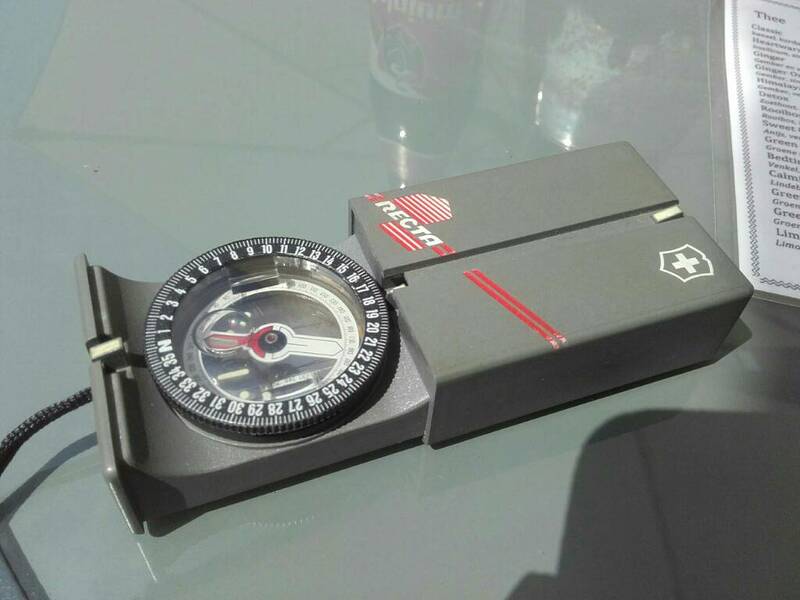 This great little compass has a few neat features. For example, this model floats, which makes it good for boating or other type of water use. 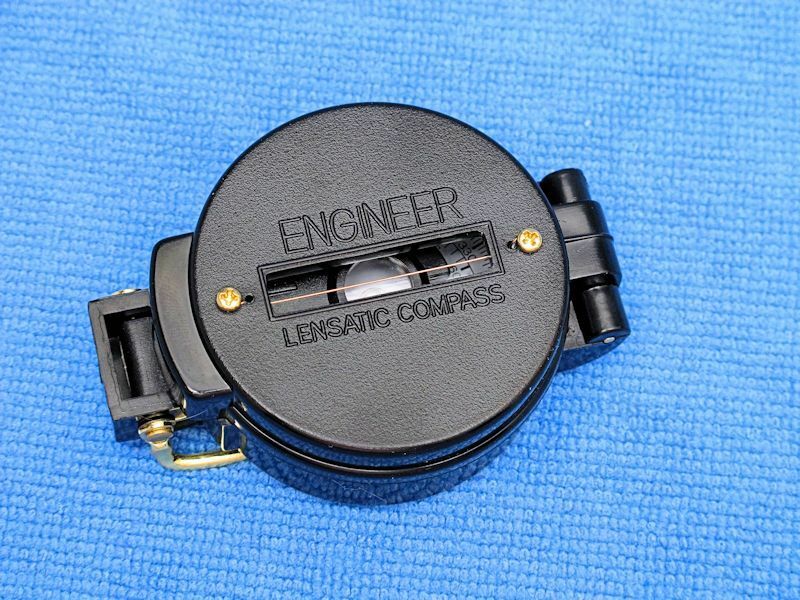 The inside lid features a mirror for sighting bearings and signaling. 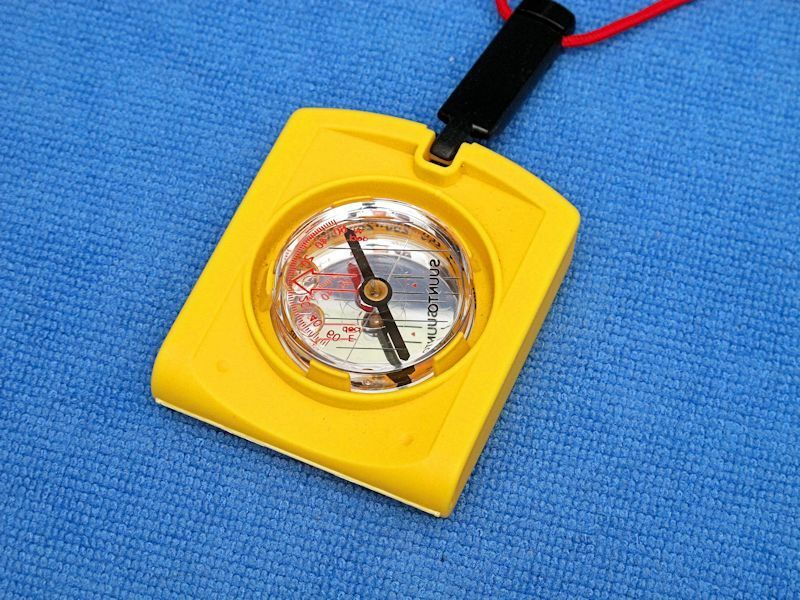 There is also a detachable lanyard with emergency whistle built in, making this a nice little survival compass. The needle is also fluid dampened. 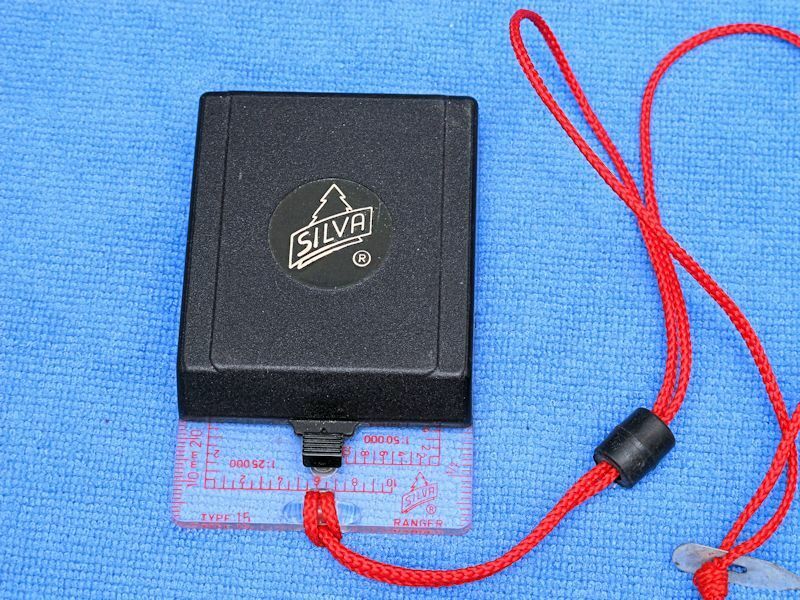 The Silva Ranger is a great compass featuring a mirror for finding bearings, as well as a signaling mirror in an emergency. This also features more different scales than the more basic Silva Type 7 NL compass. Once again, a fluid dampened needle is present. 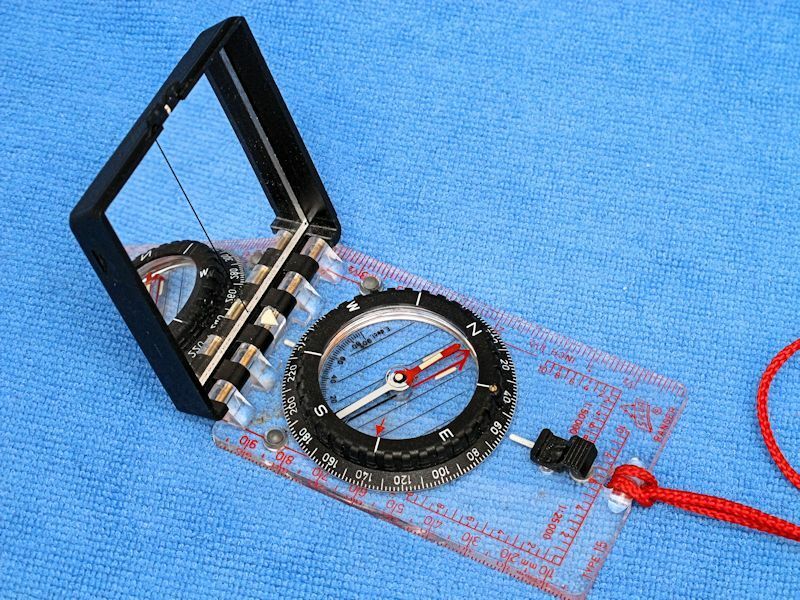 Instead of a mirror, the Coghlan's Lensatic Compass features a copper wire and a small pop up lens. To find your bearing, point to the landmark, and look through the magnifying lens to easily see your readings. I have used a few of these types in the past, and they work excellently. 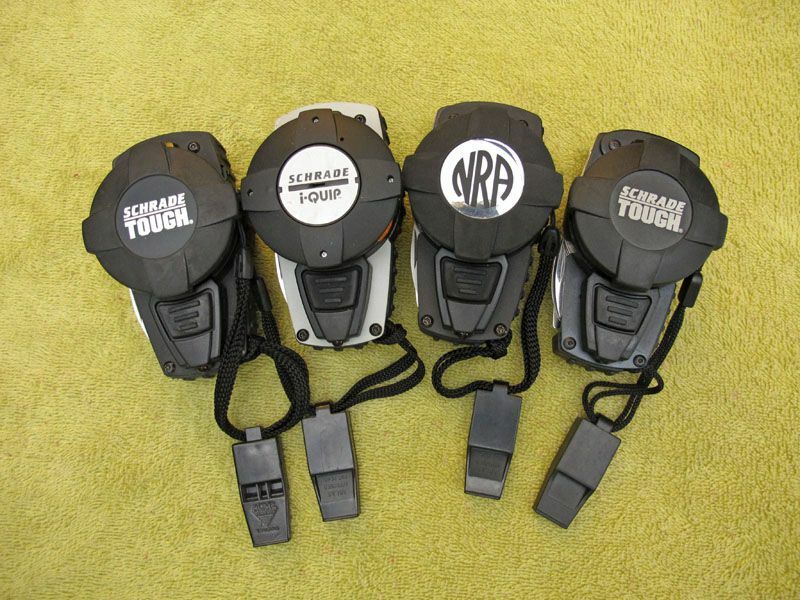 I still prefer the mirror variants as they can double duty as an emergency signaling mirror. With that said, you could use the small magnifying lens as a rudimentary fire starter if needed, or if desperate enough. The disk rotates easily and freely, but is not fluid dampened. You can see the effects as a lack of smoothness in movement. Also, there are no glowing dials on this compass. 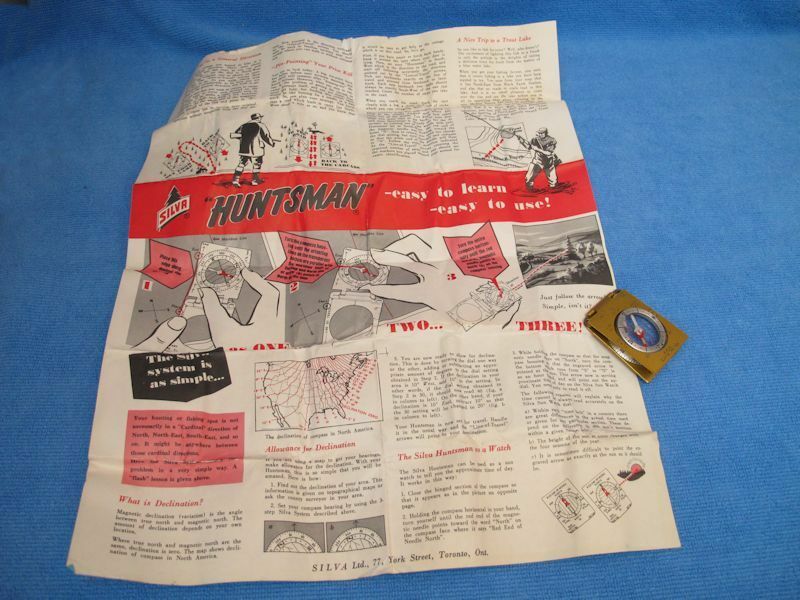 Silva Huntsman from the 60s. 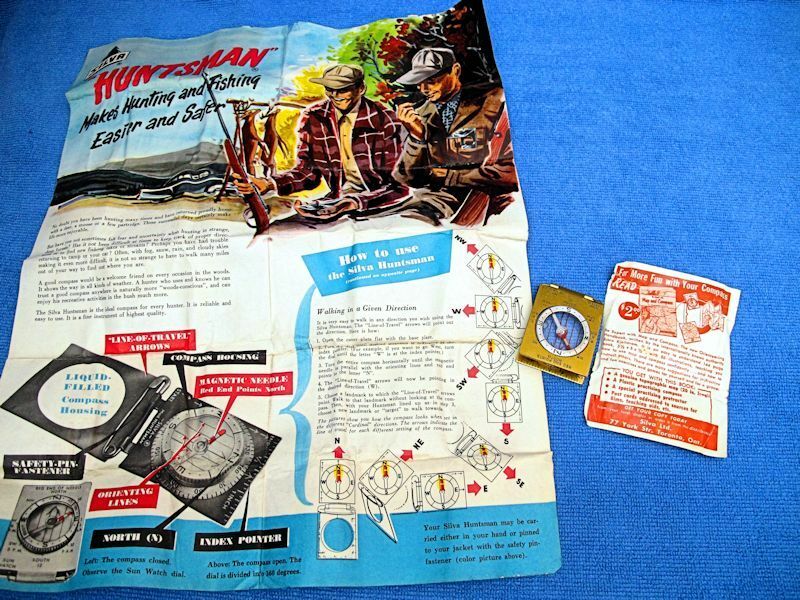 This was my father's hunting compass which he bought back in 1969. I still have the box and paperwork for it. I think he only used it a few times before hanging up his rifle. During my research, I found out that the German and British forces uses these as part of their survival kits. The Silva Huntsman features a brass pin for wear. 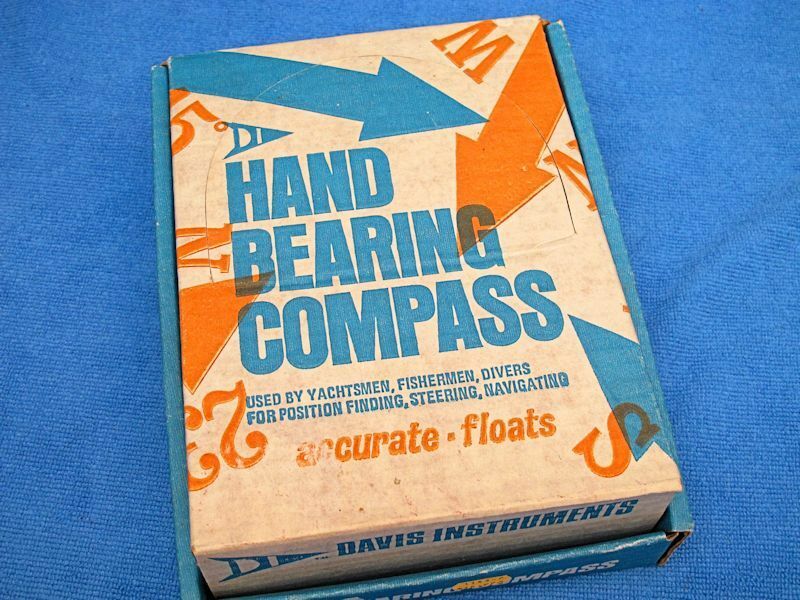 Davis Instruments Hand Bearing Compass. 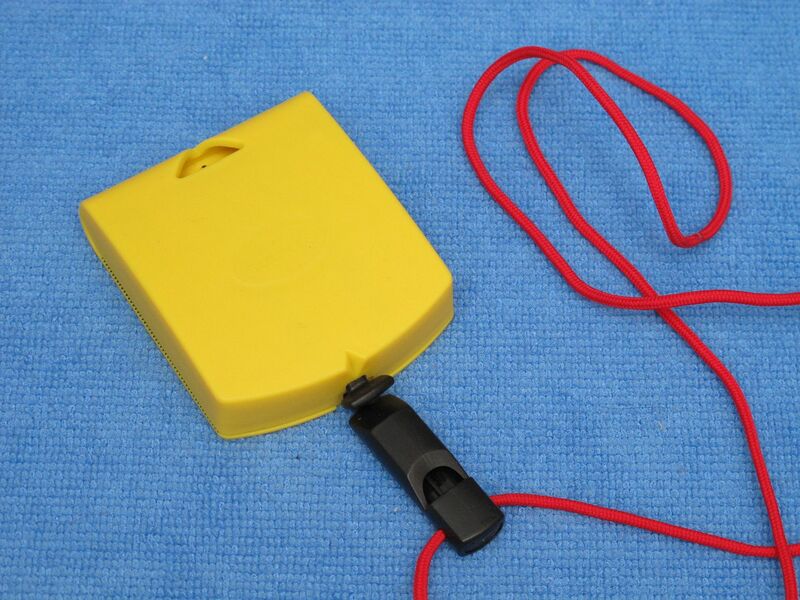 Using this precision marine hand bearing compass, you can easily obtain quick magnetic bearings on shore or floating objects. Obtain a bearing simply by aligning front and rear sights on an object and reading off bearing. 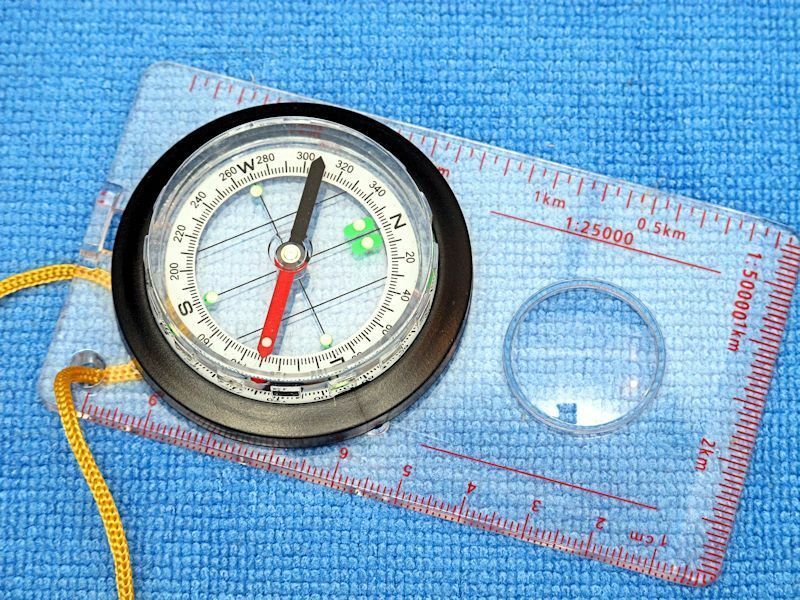 The rather large compass is easy to read as you are taking a bearing. Uses include quick bearing or position set, determination of angular gain or loss on the competition while racing, checking distance offshore, establishing lee-bow set while cruising or racing in currents, drift vectoring and plotting a line of position. The instrument also floats. In addition to an intuitive, user-friendly interface, this fully stocked unit has the ruggedness to answer your call to adventure. You don't even need to worry about dropping this waterproof model in a lake – it will float to the surface for easy retrieval. The bright, 2.6" 65K colour display with 160x240-pixel resolution makes maps pop off the screen and is easy to read in direct sunlight. High-sensitivity, WAAS-enabled GPS receiver with HotFix™ acquires satellite locations quickly for fast start-up times. 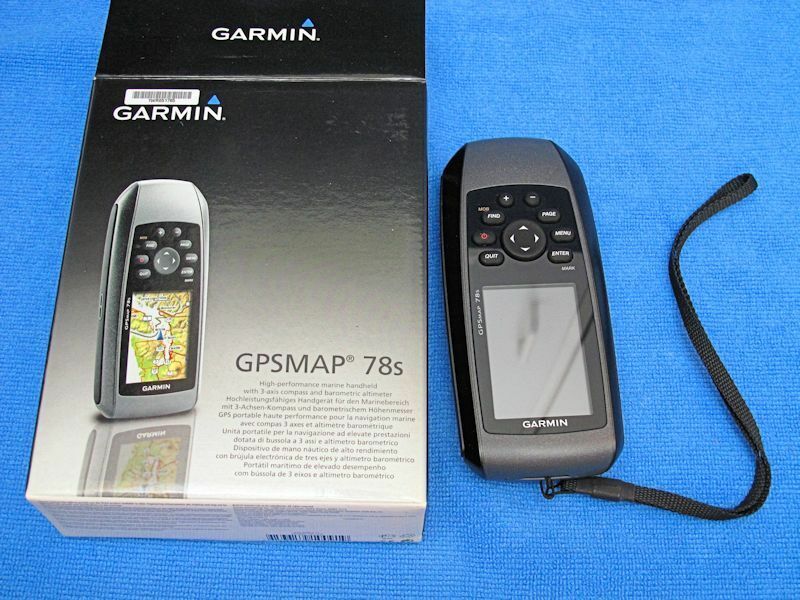 Pre-loaded worldwide basemap with shaded relief supports Garmin custom maps and BirdsEye™ satellite imagery. Add optional mapping software via the micro SD card slot. 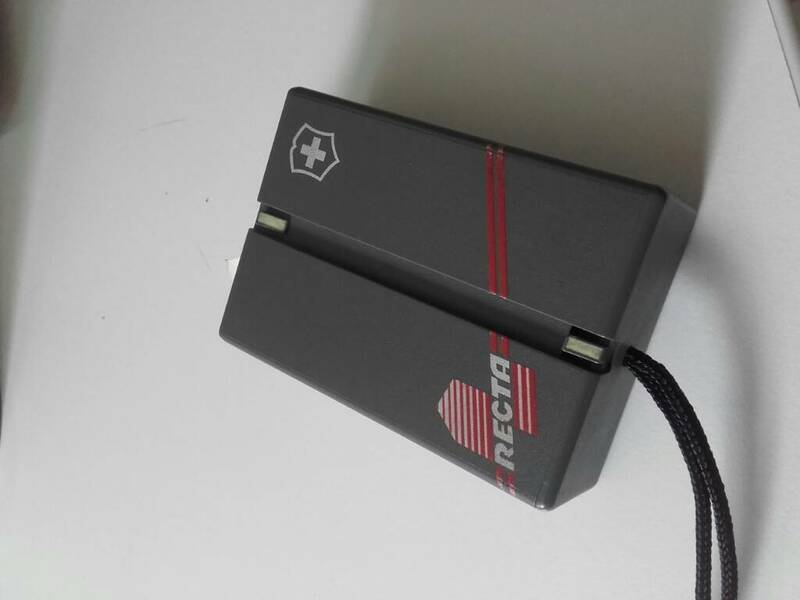 High-speed USB interface. Powered by two AA batteries for up to 20 hours. Well there you have it. 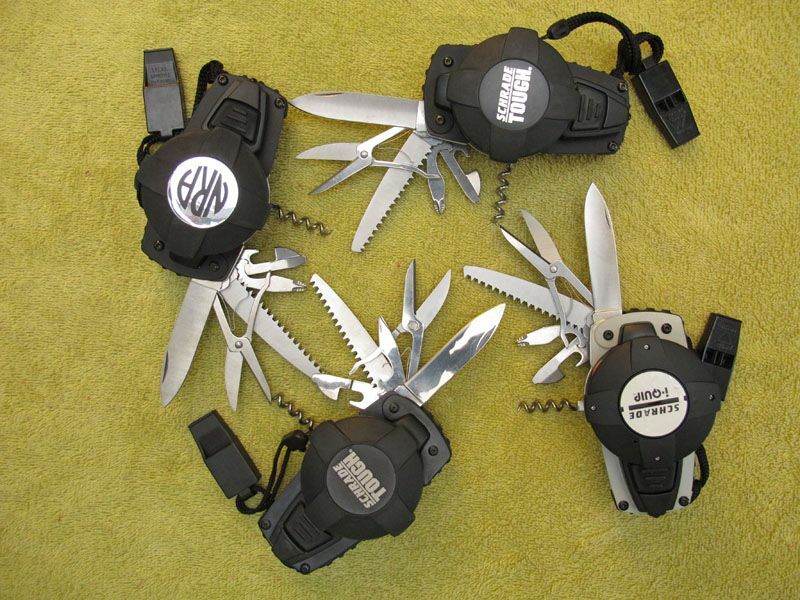 I nice collection of different compasses to meet different needs. The GPS is a great tool, but I still back it up with a compass. Note that I haven't mentioned the Schrade Navitool. Although I tend to carry one on my outings, I felt it didn't quite meet the definition of a stand alone compass. I also fear I am in danger of being a compass collector...or have I already entered dangerous shoals? Re: Things that help you find self and place. Nice selection. I ended up with several myself over time. 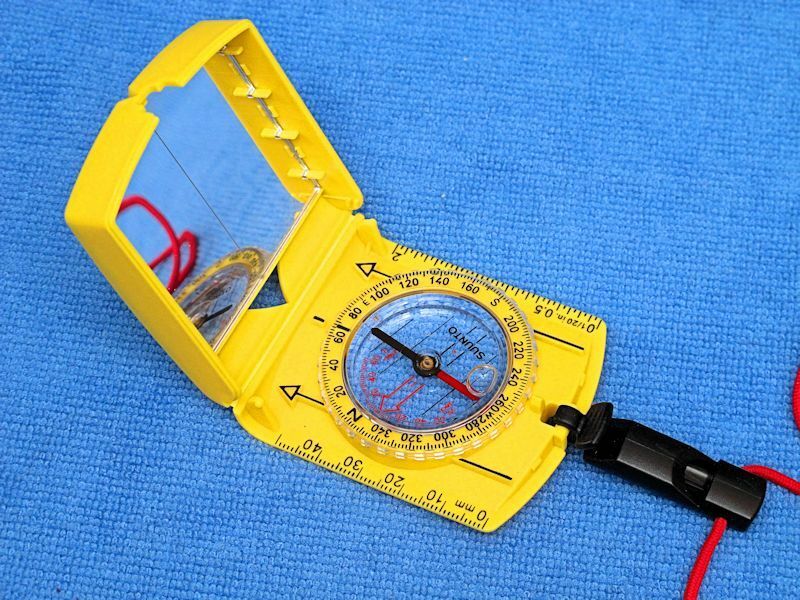 Would you say the Navitool holds its own with the compasses you've shown? I figure since you take it with you it must be a reliable compass. 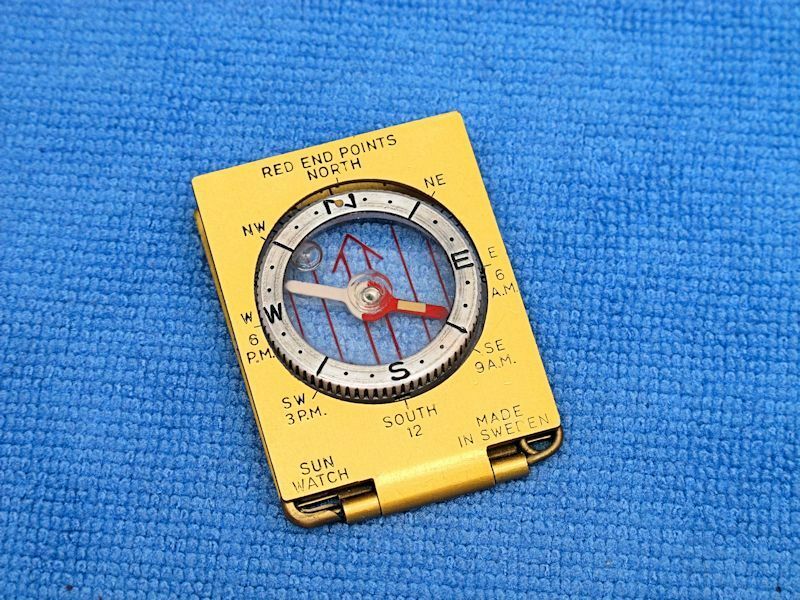 I really like the notion of the safety pin compass, the Silva 328. The Navitool I like because I can carry a lighter with it. The compass is good, and the inclusion of the tools make the Navitool a good outdoor tool. Just got this one today! a feature filled, top model. Brand new for only €10, while they retail for 100! I am a bit of a Navitool nut. I really like that old Huntsman! For the history of the compass, I can recommend Alan Gurney´s book.